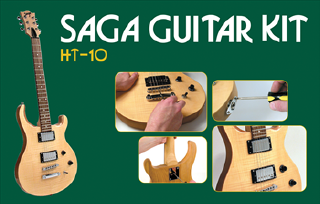 Welcome to the Saga Sagas! 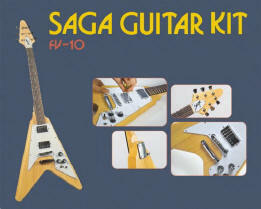 This collection of pages is dedicated to Saga guitar kits and the guitars built from those kits. 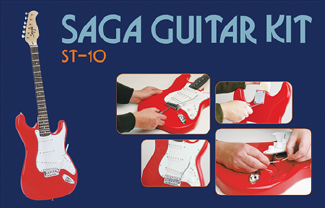 We invite you to take a look at these pages both to get ideas and inspiration for your guitar-building journey. All of these stories were submitted by GuitarAttack visitors and represent a lot of creativity and effort. We welcome your story -- keep notes and photos during your build. 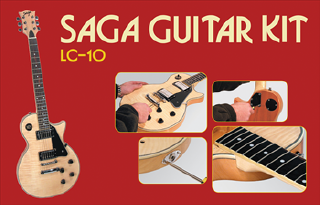 Email your submissions -- photos and descriptions -- to williamsguitars@aol.com. Thanks in advance because we believe we can all learn something from other people's experiences. 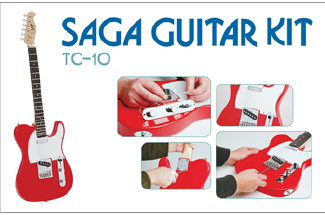 BEFORE SAGAS PAGE! 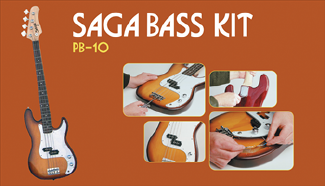 Before you start your kit, make sure you read these lessons-learned. Click here to check them out! Check out our new video! John takes you through a complete S-Style build. Click here to see it on YouTube. Click here for a lacquer finishing primer from Stew-Mac. 1. The presentation order of these builds is not based on which ones we like best; rather it is based on when in time the stories arrived and the workload of the Webmaster. 2. While we appreciate submissions with links, please understand that links go dead with regularity! Please -- no more links to blogs or photo-hosting sites. Thanks!.